The SmartWatt boiler has a power plant inside. The unit not only gives off heat, but it can generate electricity for less money and with fewer emissions than buying juice from the grid, its creators say. 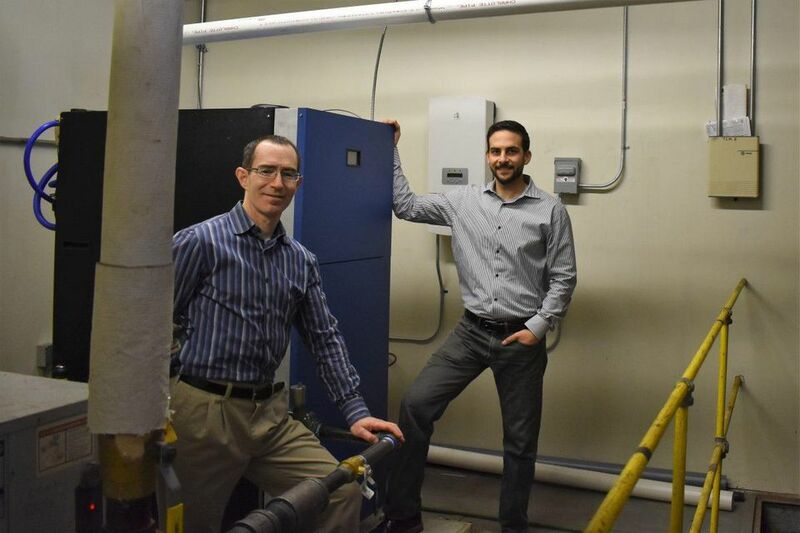 The technology from startup Enviro Power has been installed in a testing facility in Hartford, Connecticut. A dozen purchase orders are pending for apartment buildings and businesses throughout the Northeast, says Mike Cocuzza, chief technology officer and president. Enviro Power is part of the Clean Energy Business Incubator Program (CEBIP), supported by the New York State Energy Research and Development Authority (NYSERDA). Connecticut Innovations recently backed the company with $250,000 and plans to be part of an upcoming Series A funding round, according to the Hartford Business Journal. Cogeneration, or combined heat and power, has been done before. "However, most of these systems are designed around engines," Cocuzza notes. The SmartWatt is a boiler that's been seamlessly integrated with a steam turbine. "This allows the system to have the same function, fit and price of similar condensing heating systems," he explains. "Our systems are maintained like similar boilers and operate in the same capacity. There are no oil changes and additional maintenance that other engine-based systems need." There are 5 kW electric/150,000 BTUh SmartWatt units for homeowners featured on Enviro Power's site, along with 6 kW electric/175,000 BTUh units for multifamily and commercial buildings. The commercial units can connect with building automation systems and the residential units are enabled to provide backup power automatically in the case of an outage. The estimated savings: half the carbon dioxide emissions of electricity from the grid, generated at one-seventh of the cost of buying it from the grid, Cocuzza says. That amounts that a payback of one to three years, based on selling the units for $8,000-$9,000 and compared to typical heaters that go for $4,000-$5,000, he said. "The design of the system is to have a life expectancy of 10-plus years. So if the premium is returned in even the first one to three years, the additional savings are significant."